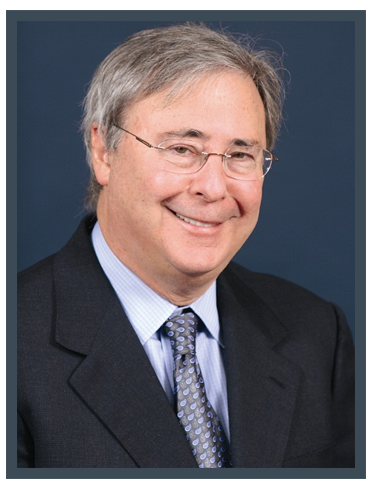 Bruce Zirinsky has concentrated his practice in U.S., foreign and cross-border restructurings and bankruptcies for more than 45 years and is recognized as one of the nation’s leading business and commercial litigation lawyers. In 2018, Mr. Zirinsky was chosen for the second time by The American Lawyer as one of its Dealmakers of the Year for his role as company counsel in the successful chapter 11 reorganization of Republic Airways Holdings Corporation, having previously received the award in 2008 for his role as lead company counsel in the Northwest Airlines Corporation chapter 11 cases. 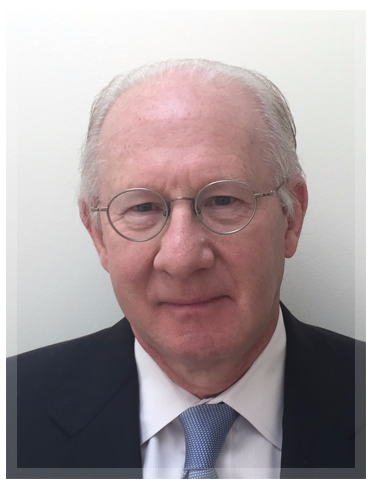 In 2018, Mr. Zirinsky also received an award from M&A Advisor for the Cross-Border Restructuring of Ultrapetrol (Bahamas) Ltd. Mr. Zirinsky is a perennial selection by Best Lawyers of America and Super Lawyers and has received numerous other awards and accolades for his accomplishments in his field of practice. Mr. Zirinsky’s clients include public and private companies, investment funds, hedge funds, and other investors, as well as banks, financial institutions, and official and ad hoc creditors’ committees. His practice includes both court-supervised and out-of-court restructurings, mergers and acquisitions, complex litigation, and business and other legal strategies, including strategies designed to mitigate the costs and risks of restructurings and to maximize returns to investors. Over the past four decades Mr. Zirinsky has played a prominent role in dozens of the largest restructurings, and bankruptcies covering a broad cross-section of industries, including financial services, automotive, air transportation, energy and power generation, oil and gas exploration and production, refining, real estate, hospitality, technology, communications, news and entertainment, cinema, shipping and petroleum services, rail, natural resources, and equipment leasing and finance. Representative matters include Bear Stearns Co., Continental Airlines, Northwest Airlines, Mirant Corporation, General Motors, Olympia & York Realty, Cadillac Fairview, Crescent Realty, Extended Stay Hotels, Landsource Corporation, Mirant Corporation, CNBC, North American Car Corporation, Republic Airways, and Ultrapetrol (Bahamas) Ltd.
Mr. Zirinsky graduated from Cornell University in 1969 with a B.S. in Industrial Labor Relations and a J.D. from New York University School of Law in 1972. He is admitted to practice in the State of New York, the United States District Court for the Southern District of New York, the United States Supreme Court, and numerous other federal courts throughout the United States. 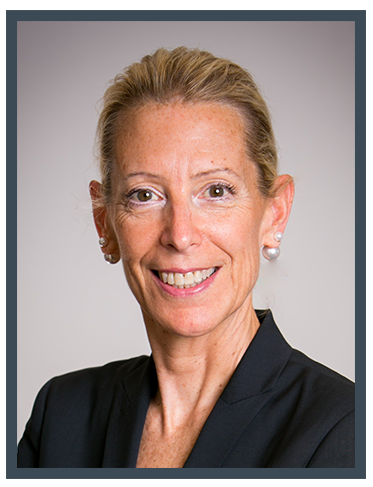 Sharon Richardson practices in all areas of domestic and cross-border restructurings of financially distressed companies, representing debtors, lenders, prospective acquirers, investors, and creditors in chapter 11 cases, as well as in cases under chapters 9 and 15, and in restructurings outside formal judicial proceedings. Her representations include some of the largest and most innovative restructurings ever achieved and serve as the benchmarks in business reorganizations. Ms. Richardson’s company-side lead restructuring engagements span a wide range of industries, including aviation, shipping, automotive, textile, retail, apparel, hospitality, energy, telecommunications, real estate, finance, and manufacturing, on behalf of Fortune 100, Fortune 500, and other companies, such as Republic Airways, Ultrapetrol (Bahamas), General Motors, Xerium Technologies, Security Capital Assurance, Regal Cinemas, Extended Stay Hotels, LandSource Communities, Atkins Nutritionals, WorldCom (MCI), PennCorp Financial Group, Crystal Brands, R.H. Macy & Co., JPS Textile Group, MB Holdings, Eastern Air Lines, Texaco Inc., and the chapter 15 foreign representatives of Hollinger Inc. and Kaupthing Bank. Ms. Richardson also represents major institutions (which have included Bank of America Merrill Lynch, JPMorgan Chase, The Royal Bank of Scotland, Citibank, N.A., Brookfield Asset Management, General Electric Capital Corporation, 3M, and Odyssey Partners) as debtor-in-possession lenders, secured and unsecured creditors, prospective acquirers, and investors in numerous cases, such as Marco Polo Seatrade, SunCal Companies, Lehman Brothers, Blockbuster, Inc., U.S. Gen, Printing Arts America, Recycling Industries, Kamine/Besicorp Allegany, Taren Holdings, The Plaza Hotel, Telesphere Communications, Elder-Beerman, Cook Inlet Communications, and Southland Corporation. Her representations of official and unofficial committees have included the unsecured creditors’ committee in the Truvo USA and Piece Goods Shops chapter 11 cases and the informal bondholder group in the Homer City Funding chapter 11 case. Ms. Richardson is editor of the two-volume treatise Reorganizing Failing Businesses (published by the American Bar Association, Section of Business Law) and Restructurings: Extracting Value from a Distressed Enterprise (Euromoney Publications), as well as author of numerous publications and has lectured on current bankruptcy issues. Ms. Richardson has been recognized on multiple occasions by Super Lawyers, including as one of the top 30 women bankruptcy attorneys in New York and as a leading attorney overall in the New York City metropolitan area. She has served on the drafting committee for the U.S. Bankruptcy Court for the Southern District of New York, responsible for the procedural guidelines adopted for prepackaged chapter 11 cases and was a member of the working group for the development of the court’s electronic case filing system. Ms. Richardson is a member of the American Bar Association, the New York City Bar Association, and the American Bankruptcy Institute. Ms. Richardson received her B.A. from William Smith College, her M.Ed. from Antioch/New England Graduate School, and her J.D. from Benjamin N. Cardozo School of Law, where she served as managing editor of the Cardozo Law Review. She is admitted to practice in the State of New York and the U.S. District Court for the Southern District of New York. Gary Ticoll represents institutional investors, public corporations, bondholders, hedge funds, postpetition lenders, and acquirers of distressed assets in complex corporate reorganizations both out of court and in chapter 11. Representations include public corporations and chapter 11 debtors involving domestic, multi-jurisdictional, and cross-border matters across a wide variety of industries including shipping, aviation, telecommunications, automotive, healthcare, finance, and real estate. Mr. Ticoll’s debtor representations include Republic Airways, Ultrapetrol (Bahamas), Parmalat, Global Crossing, Telewest, and Twinlabs. On the non-debtor side, Mr. Ticoll’s representations include a group of hedge funds in the GM bankruptcy in connection with Nova Scotia bond, a bond investor group in the Rubicon chapter 11 loan, Starwood Capital in Extended Stay, and Square Mile in a number of contentious bankruptcy litigations involving hotels and extended care facilities. Mr. Ticoll also represented lenders, lessors, and investors in the bankruptcy cases of debtors such as GST Telecommunications, National Steel Corporation, Golden Books Family Entertainment, and Star Telecommunications, and General Motors in the chapter 11 cases of Tower Automotive and Delphi. Mr Ticoll represented the official committee of unsecured creditors in the chapter 11 cases of Mariner Post Acute Network, Inc.
Mr. Ticoll received his M.S. (Computer Science) and B.S. (Mathematics) from McGill University, and LL.B and B.C.L. law degrees from McGill University School of Law. Mr. Ticoll is admitted to practice in the State of New York, the United States District Court for the Southern District of New York, the United States District Court for the Eastern District of New York, the United States District Court for the Eastern District of Michigan, the Second Circuit Court of Appeals, and the First Circuit Court of Appeals.